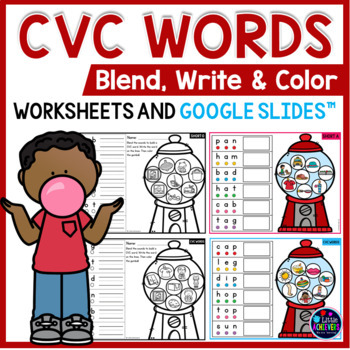 This packet includes 24 worksheets for your kids to practice blending the sounds together to build simple CVC words. 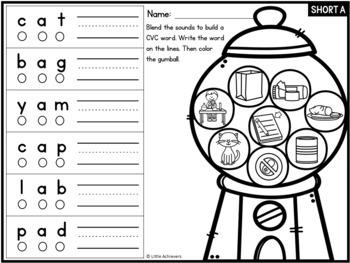 Kids will say each sound slowly, and then blend the sounds together to read the word. 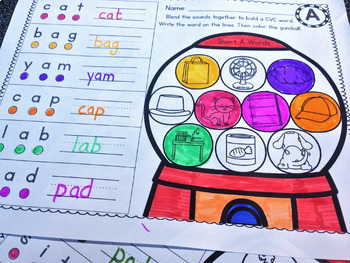 They then write the word on the lines and color the picture that matches. 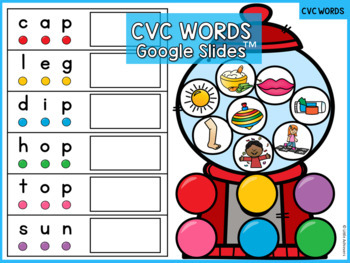 Please note that this packet is available in my CVC MEGABUNDLE.